The element most often remembered about Picnic at Hanging Rock is the ending, which refuses closure to the mysterious behind the events within the film. The film is faithfully based on the Joan Lindsay novel, a paperbook copy of which is included in this fantastic dual-edition Blu-ray/DVD release from The Criterion Collection. Apparently taken from true events, the film follows the disappearance of several students and a chaperone on an all-female college picnic outing on St. Valentine’s Day at the turn of the twentieth century. With a purposefully minimalist plot, much of Weir’s film relies on mood and atmosphere to insert ideas and insinuations into the audience’s mind. Rather than tell the audience what might have happened to the missing girls, or even allow other characters to discuss the horrific possibilities, Weir leaves much to the viewer’s imagination. This somehow makes for a much more haunting film, approached like horror despite a lack of distinct violence or attacks. The way in which Weir films the location of their disappearance, Hanging Rock, clearly gives us the film’s monster. Mountains with face-like shapes are filmed alongside an eerie soundtrack of pan flute and haunting sound effects. Before the girls depart for their trip, they are warned that it is a dangerous area for many reasons. Never actually seeing the specific dangers makes the anxiety of the location even more haunting. This is the ultimate release for fans of this film, not only including the previously out-of-print novel and several formats to view the film in, but also with all-new special features and a remastered high-definition digital film transfer, supervised by Weir himself. There are several interviews with Weir also included, as well as an early 50-minute dark comedy, Homesdale (1971), from the filmmaker. New to the release is a making-of piece with interviews from 2003 and an introduction from film scholar David Thomson. 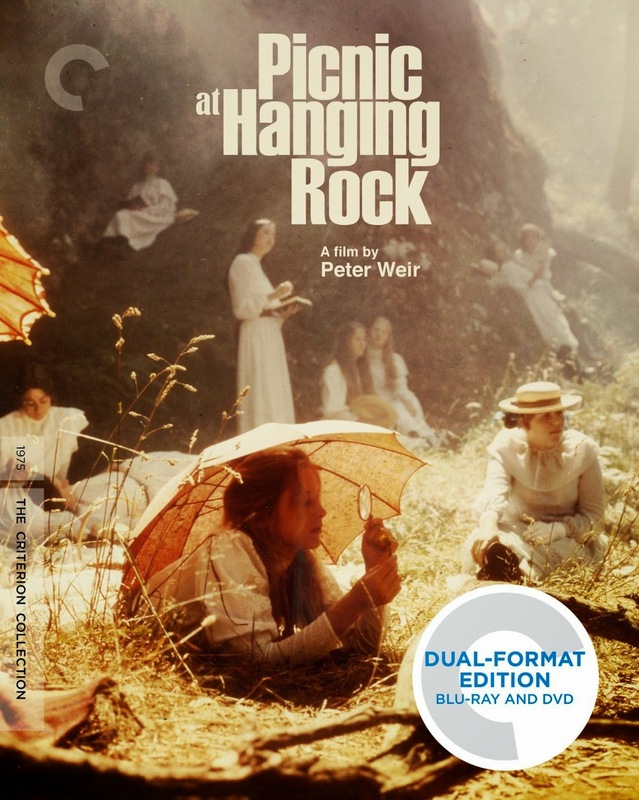 Also included is the previously released on-set documentary, Hanging Rock 1900 (1975), and a booklet insert with an essay from Megan Abbott and an excerpt from a book on Peter Weir from film scholar Marek Haltof.